at Breil-sur-Roya, near Nice and Monaco. 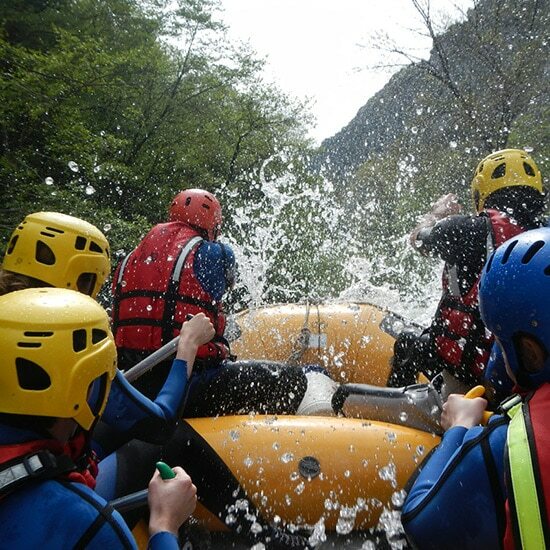 Discover our selection of courses of canoe-raft in the gorges of Roya, adrenaline and sensations guaranteed for all! Kayak-raft is suitable for all levels, it will offer you relaxation and sensations in our itineraries of the gorges of Roya ! One of the most beautiful canyon, the Maglia, is located in our Roya valley of the french Riviera. Discover in complete safety together with the experienced guides. 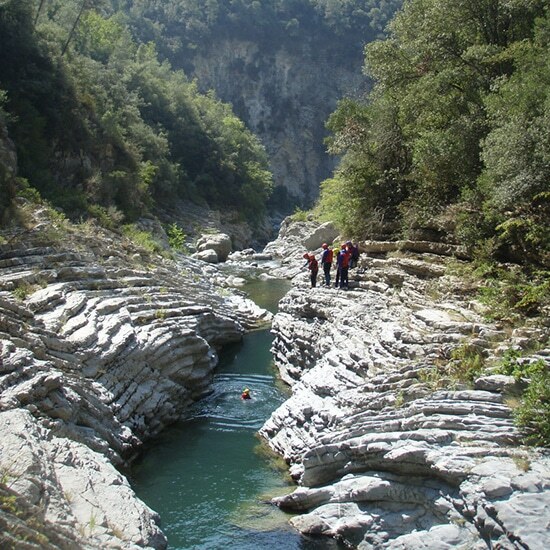 The Roya offers a course of hydrospeed of exception in unique gorges which wind between Riviera and Italy, in the heart of a nature protected near the Liguria. 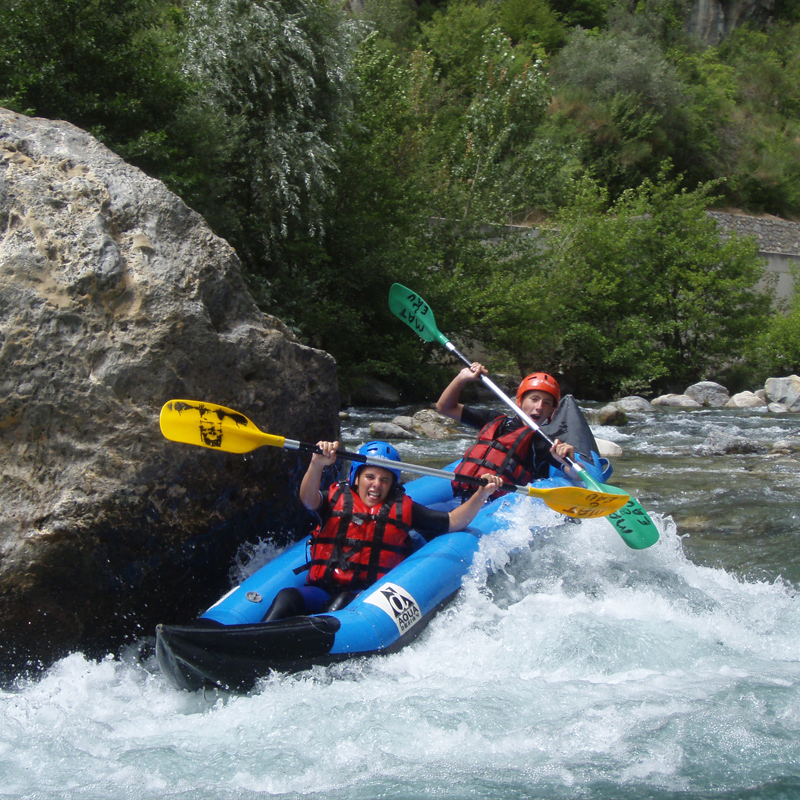 Roya is a river which offers one of the best spot of rafting of the Alpes-Maritimes! A unique frame and sensational rapids… Discover our course. 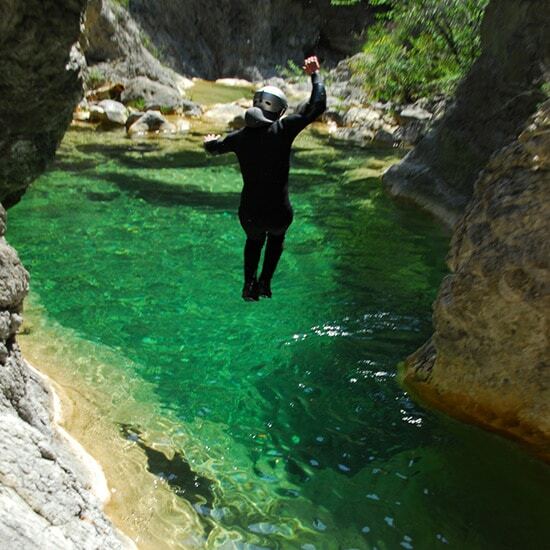 You prefer a cool stroll within the framework of a magnificent river less sports than the canyoning? Our aquatic hikes are made for you! 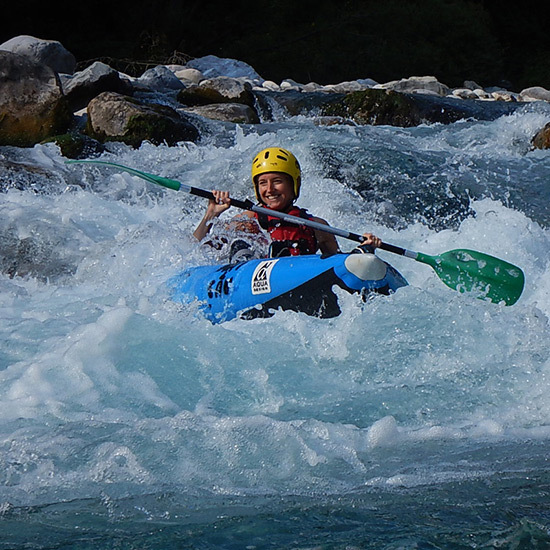 Our qualified guides invite you to discover the sensations of the Rafting and Canyoning in the Alpes-Maritimes, as well as the hydrospeed unless one hour from Nice. Fascinated and specialists of the white water sport for more than 20 years, we shall bring you to the discovery of the sensations of the white water in complete safety between friends or in family to make of: rafting, canoe-raft, hot dog, kayak-raft, air-boat, hydrospeed, aquatic hike or canyoning! The whole on the most beautiful rivers of the Alps of the South, as the Roya, the Var, the Vésubie or the Verdon or in the most beautiful canyons of the Alpes-Maritimes: Maglia, Morghé, Carléva, Bollène, Barbaira and many others else. In region of Provence-Alpes-Côte d’Azur (Alpes-Martitimes), Breil-sur-Roya is situated in border of the national park of Mercantour, near Nice and Monaco, near the valley of the marvels, in the North of Ventimiglia (Italy). Professionals of tourism, we are recognized by the label Quality Tourism and you will find us on Trip Advisor or Adrenaline Hunter. We can also organize events for your company, propose price for your works council. Our objective is to make you cross a unique moment with more or less of adrenaline according to your level! You are supervised by state-certified guides which will know how to share with you your activity in complete safety. We have so a lot of success, by the nature of our activities, with the bachelor or bachelorette party ! Do not hesitate to contact us for all information. With Mat & Eau, let's go !